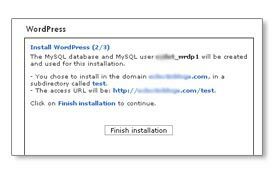 One-click installation is the quickest way to get WordPress up and running on your website. After you’ve considered the possibilities of one-click vs. manual WordPress installation and determined that one-click would best serve your needs, you can follow the tutorial below to learn how to set up your WordPress blog using Fantastico’s one-click installation option. If you have not already done so, log into your website’s cPanel account, then click on the Fantastico icon. From the Fantastico interface, scroll down until you see the Blogs section and just below it, you should see WordPress in the list. Click on the WordPress link. 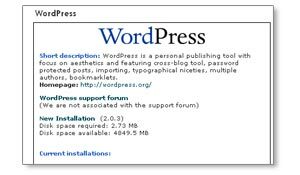 To the right, you will be provided with some information about the version of WordPress you will be able to install. Take a moment to ensure that it’s up to date. If all is well, click on New Installation. Installation Location. If you want your blog to be your website’s homepage, ensure that you leave the space blank, otherwise type in the name of the folder you want WordPress installed to (make sure it doesn’t already exist). Admin access data. 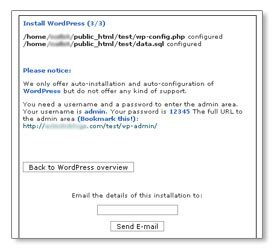 Choose the username and password you’d like to use in order to access the WordPress admin panel after installation is completed. Base configuration. Type a nickname you’d like to use throughout the blog. By default, the nickname is used whenever you leave comments or write an entry on the blog, so choose something you don’t mind the world seeing. The admin e-mail address is where notices, passwords, and other information about the administration of the blog is sent. 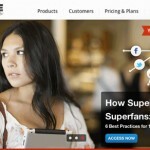 Your blog’s name and description should be self-explanatory. When your blog information is complete, click on the Install WordPress button at the bottom. Verify that the information you provided is correct and click on Finish installation. Fantastico will create a brand new database for you and create the necessary WordPress files. When the process is complete, you will receive a confirmation notice with the details of the installation. If you’d like a copy of the report for your records, you’ll have the option to send an e-mail to an account of your choosing. I upgraded from Version 2.02 to 2.04. Let me know if you need to know anything else. Thanks for letting me know that. Although it should not have, there may have been an error with the admin database info. Make a good database backup before doing this. Open it up with a plain text editor to ensure your tables were properly saved. If possible, log in to your phpMyAdmin console, click on your (prefix)_user table (replace prefix, with your wp prefix) and make a mental note of the admin user ID value (i.e. should be 1). I hope that makes sense and helps to get you going in the right direction. Thank you for this tutorial. It was very helpful and your 4.3 answered a question I couldn’t figure out on my own. I really appreciate the walk-through on installing WordPress with Fantastico. There are so many different ways WP can be installed and so many different plug-ins. It can get confusing real fast. 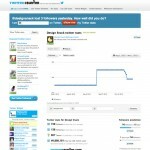 I’ve installed a fresh install of WordPress using Fantastico on my webhost (hostrocket.com). It installed version 2.1.2. For some reason, it seems that WP is unable to create new categories. When I use the control panel to create a new category, it shows up in the list and everything seems fine. However, when I log into the web site itself, the new category doesn’t show up. In fact, even when I click on the default “uncategorized” category, I get a 404 error message. It’s almost as though WP doesn’t have authorization from the server to create new files/folders. Even if I set permissions for the wordpress install folder to 777, though, it still doesn’t seem to help. Any idea what is going on here? I’ve searched various FAQs on installation issues but can’t seem to find anything. Your problem has nothing to do with setting your install folder’s permissions to 777. In fact, I highly recommend you CHMOD them back to their original state (755). Currently, you have a permalink structure set, however, WP was not able to write to your .htaccess file and that’s why you’re seeing 404 errors everywhere. You need to manually update the .htaccess file or set its permissions to 666, then update your permalink structure again…allowing WP to write to the file. Teli, thanks so much for your willingness to take a few moments of your time to save the several hours it would it have taken for me to figure it out on my own! I reverted the CHMOD of my root folder back, as suggested, and everything now works after altering permissions on the .htaccess file. Thanks again. You’re welcome, Bob. Glad I could help. Thank you so much for the guide, I prefer this than the manual installation. Lemme go try it out. Cheers. Teli, I have a difficulty of installing themes in my WordPress account, I Don’t know why, I followed all as indicated to your video tutorial. No new themes appeared. Then I guess that maybe my database was the problem, (what is stated in the wp-config.php) I change the detail in the wp-config.php that is stated in my cPanel account. then it appeared like its error. and I don’t know what to do. Please help me. Thanks. Your problem more than likely has nothing to do with your wp-config.php file or your MySQL database, however, I do need more information to answer your question. Specifically, what, if any error are you receiving. How is the installation not working? I think its now okay, thanks. Its just with the ftp, I used wrong account. yay. :)) thanks alot. Thanks for the tutorial. It’s nice to have folks willing to help! What if you want to make a new WP install more than one directory deep? For example, mysite.com/first/second. I tried adding “first/second” in the install directory area in Fantastico and received an error. In this example, “second” was not created when I tried since Fantastico says that it will create the new directory. Any thoughts? Is it possible to upgrade the fantastico installation of wordpress 2.3.1 to the lastest version 2.3.2, using fantastico ? Most hosts running Fantastico do not yet have WP 2.3.2 installed. And yes, it’s possible to upgrade a WP installation using Fantastico, though not recommended. Sorry that my answer is coming so late, but you can only create a new install one directory deep when using Fantastico. If you’re looking to install WP in something like dir1/dir2, then you’ll need to do it manually. Good tutorial. One question. To actually publish a WordPress blog that one has installed though Fantastico, what needs to happen? Do I need to install an ftp program? You need to log into your WordPress admin panel and click on the Write button. 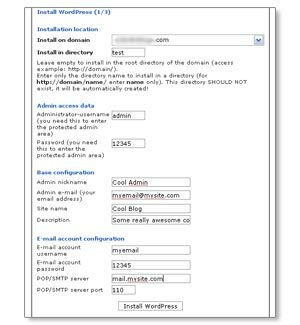 I instaled wordpress form Fantastico in my cpanel. 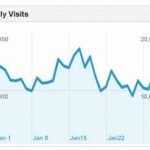 This may sound dumb, but how do I view the blog page online? I didn’t make the blog my homepage. I have succesfully installed my wordpress through fantastica, but I have a small problem. I have set a 302 redirect for any request to http://mydomain.com to redirect to http://www.mydomain.com for some particular reasons. Now when I install wordpress through fantastico it install it in http://mydomain.com/wordpress and that creates an infinite loop or redirects and the site does not open. BTW thanks for the tutorial, your site is very useful appreciate it a lot. When I get the first box – install on domain – do I type costablancarestaurants.com or should I type in http://www.costablancarestaurants.com? im trying to install it to directory1. but it wont work. is it possible that way? i just read the notes above. so disregard. apologies. 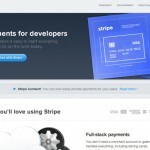 I’ve come across your site a few times and decided that you’re probably the best person to seek advice from for my WP problem. Having changed both input boxes relating to URLs on the settings page, I then clicked ‘visit site’, and cannot see the WP default theme with ‘hello world’ post. Instead, I’m seeing a standard holding page for my host provider (host papa). Can you think of what I might have done wrong? Grateful for any help you can offer. You can use WordPress, however, you won’t need to use the one-click installation with Fantastico. You can do a manual installation using FTP.